Using regular expressions is a very effective way to find a sub-string or all matched sub-string from a given string or text. But when you call them they give you matched results in a array with numeric indexes which is not helpful enough to get your data out of the matched results. 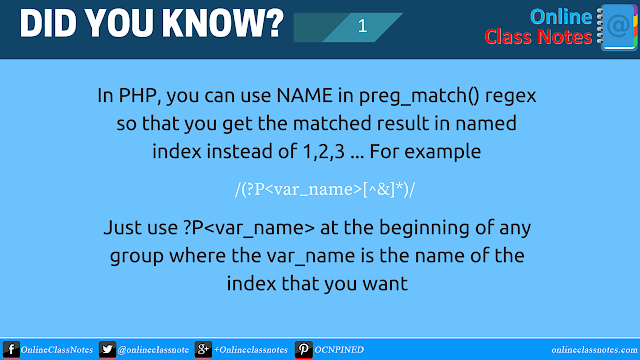 Following is the way to index matched results by name. So as you can see now it will be easier to catch the result rather than numeric values right?